Emissions from PacifiCorp’s Huntington coal-fired power plant, one of two such facilities in Utah, blow into neighboring national parks. Heralded as the official state rock by the Legislature in 1991, coal, found in 17 of Utah's 29 counties, might soon be shelved in the state annals, much like polygamy and basic reproductive rights. See, at least half of Rocky Mountain Power's 22 coal-fired units—including Utah's Hunter and Huntington plants—cost customers more to run than alternative sources such as solar and wind, according to a recent report. PacifiCorp, the parent of Rocky Mountain Power, identified scenarios where it can save customers more than $300 million by accelerating coal-plant retirements into the early 2020s, according to the report released during the company's stakeholder meeting in December. David Eskelsen, a spokesman for Rocky Mountain Power and PacifiCorp, says the study takes into account ongoing cost pressures on coal generation, driven by market forces and regulatory factors. The study does not, however, reflect a final analysis of all elements that will determine decisions, including system reliability and resource availability, Eskelsen says. "Any long-term resource decisions will be made factoring in many considerations," Eskelsen told City Weekly in an email. "The company's Integrated Resource Plan is updated every other year; the 2019 edition is expected to be finalized and released in April. The IRP and accompanying action plan will take into account factors that will guide these important decisions." Rocky Mountain Power uses a variety of resources, including coal, natural gas, hydroelectricity, wind, solar and geothermal. The company started operating as a hydroelectric company more than a century ago, using rivers and streams in Utah and Idaho. Coal-fueled plants became increasingly important in the 1930s through the 80s. Today, the company has more than 1,800 megawatts of wind capacity, which surpasses its hydroelectric capacity. Since 2000, every power plant the company has built or acquired has been a natural gas, wind or solar facility. But some still say that not enough has been done. Sierra Club maintains the company has been slow in its transition to clean energy. "Utilities across the country are replacing coal plants with clean energy and saving money for families and businesses," Christopher Thomas, a senior campaign representative at Beyond Coal Campaign with Sierra Club, says. "Yet Rocky Mountain Power is failing to make the shift in Utah from expensive and dirty coal to new clean energy, and it will cost all of us well into the next decade." Oregon, Washington and California say they want to phase out coal units by 2030. Some worry, however, that the company will shift the operating and maintenance costs of already uneconomic coal plants to Utah, Idaho and Wyoming, of which Utah has the largest share of customers. Eskelsen, however, said that such a scenario would be improbable because of state utility regulators. "State utility commissions would not allow the utility to simply 'transfer their coal plants' to other states. Individual state energy policies must be respected by the company, and we will implement the energy policies each state directs," he wrote. Rocky Mountain Power and Pacific Power, the operating divisions of PacifiCorp, have long managed differing energy policies of the states the company serves, he said. PacifiCorp operates its generation and transmission network as an integrated system, which lowers customer costs. This includes the company's coal plants in Utah and Wyoming, as well as some units operated by other utilities in other states. Meanwhile, the states served by PacifiCorp pay a share of generation and transmission-system costs as a percentage based on how much energy they consume. "Because certain states have stated a desire to remove coal from their customer rates by a certain date, the company's regulatory depreciation is being adjusted in those states to retire the debt on their share of certain plants by the date they require," Eskelsen said. Still, the utility has no plans to retire unprofitable coal plants ahead of schedule. According to PacifiCorp's report, the company assumes that almost all of its coal units will operate through 2030. The overall costs of operating PacifiCorp's coal plants through currently planned retirement is $11.7 billion. In addition, PacifiCorp did not include the costs of legally required pollution controls that have yet to be installed at generating units Hunter 1 and 2, and Huntington 1 and 2 in Utah. The state already struggles with air quality, particularly in places such as Uinta Basin and regional haze in national parks. Environmentalists contend that it's "critical" to account for the costs to install these pollution controls. 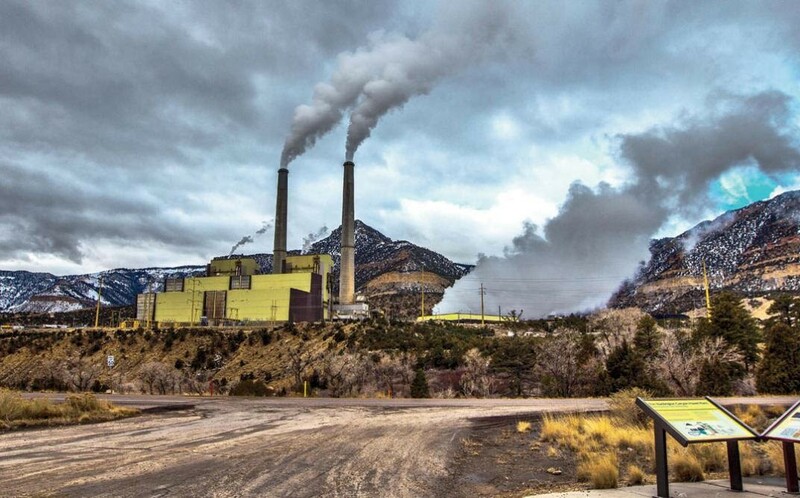 Rocky Mountain Power made a presentation to a committee of the Utah Legislature in October about the company's proposed plan that would realign the company's long-lived coal plants to Utah, Idaho and Wyoming. The company expects the future mix to contain less coal over time, "as it becomes in the best interests of customers to retire individual coal units," Eskelsen said. "We have retired a number of coal power plants in the company's history and understand the process well. What new resources take the place of these units will be determined by the IRP, which considers the full range of factors to arrive at the least-cost, least-risk portfolio of resources for customers," Eskelsen noted. In recent years, natural-gas power plants have supplied high-availability power to fill in when wind and solar are unavailable, according to Eskelsen. The declining costs of natural gas have been largely responsible for the changing economics of coal units. In Western U.S. wholesale power markets, both solar and wind become available early in the day at very attractive prices. PacifiCorp has been reducing the output of its coal units to take advantage of these energy sources. The data from the PacifiCorp report are similar to findings from a June report conducted by an independent energy consulting firm, Energy Strategies, and commissioned by the Sierra Club. According to its findings, wind and solar power, along with options for purchasing energy on the market, are in many cases cheaper or more competitive with coal generation, according to Sierra Club's news release. PacifiCorp's potential savings from replacing coal with solar energy would be $700 million; and potential savings from using wind energy would be $2.8 billion, according to the data from Energy Strategies' report. One of the main differences between the two analyses is that PacifiCorp offered scenarios for retiring certain combinations of its coal units and concluded it could save hundreds of millions of dollars by switching to cleaner options, according to Sierra Club. The Oregon Public Utility Commission ordered PacifiCorp to conduct an economic study of the operational cost of its coal plants at the request of the Sierra Club and the Oregon Department of Energy and Citizens' Utility Board. Upon completion of the report, PacifiCorp declined to make the findings public. In September, a Washington Supreme Court judge allowed the company to keep the results confidential. The findings still haven't been made public. The coal report is part of Rocky Mountain's IRP, a document which will detail where the company will derive its power. The plan is expected to be completed in April. Eskelsen said that additional analysis will take into account system reliability and the capabilities of all the resources to serve customers. The availability of various types of resources is an important part of this analysis, he added. "The IRP is a public process, and open meetings are held to inform interested parties and solicit their comment," he said. Thursday, Jan. 24, 10 a.m.-5 p.m. Soon, the biologically rich Pando Forest could be a thing of the past. As a Canadian company stakes its mining claim at Grand Staircase-Escalante, conservationists are ready to push back.